Pinion Firewood deliveries in the DFW areas click here! This site is our online ecommerce site for shopping and placing secure orders. If your looking for more Technical information visit our dancingfire.com site. 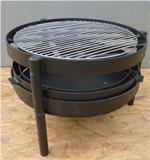 We design and manufacture most all of our fire pits. 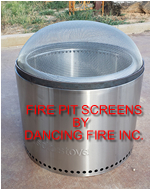 Here are some ready to go pits but we can also customize your fire pits with names or just about anything. Giving us the oppurtunity of creating some cool and custom made pits. 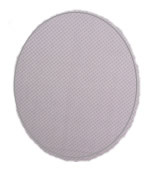 Spark Safety Screens for FIre Pits. We designed our spark screens with safety as first priority. Then second was manufacturing the screen to undure years of outdoor abuse. And submitting to heavy fire abuse. We ONLY use stainless steel mesh and hinge pins. Prices Starting at $100 and sizes from 10" to 12' in four different styles. We are the direct USA made manufacture in TEXAS. 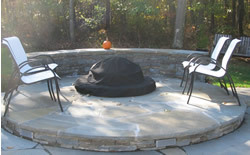 Outdoor fire pits have the potenial to burn more wood then an outdoor fireplace will. 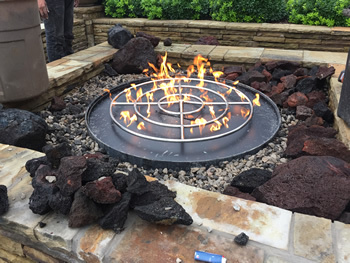 The air circulates much better in the fire pit so you could possibly go through more fire wood creating more ashes. Lots of ash. 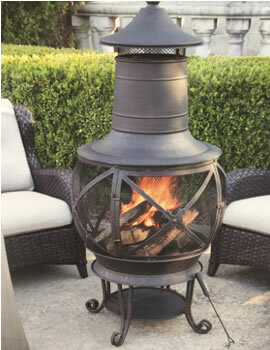 Using our adjustable fire pit fire wood grate you can raise the fire off the floor for a cleaner, easier burn. There's an optional ash pan available for easy cleaning. And most fire pits are deep. pit to see the fire? Our grates are multi-tasking firewood grates. 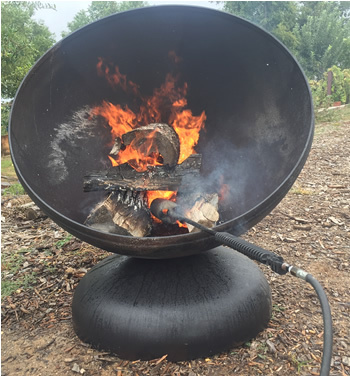 So you want to cook on your fire pit but don't want the nasty mess? We have a sew shop with some really amazing seamstress. We use Snbrella Canvas fabric by default but we can use any fabric you choose. One application for the Canvas fabric is building awnings. 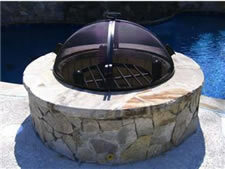 Out side 24/7/365 so we feel it makes great option for fire pits. Very well made and designed. The cover has velcro cinches around the bottom. 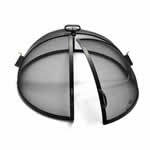 We have what I think is the coolest firepit tool out there and we call it "The Pit Stick". We have some other very nice tools but the pit stick is a must have toy/tool. and rearrange the logs in the fire pit. Saves wood and makes a nicer looking fire. Solid steel rod with schedule 40 pipe slider. 100% Stainless Steel units available. Everyone likes playing with the fire. 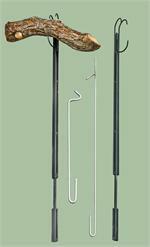 We have more Fire pit tools including the Pit Stick. We use All Stainless Steel. No wood handles. We keep the designs simple but useful and designed to last lifetimes outdoors. 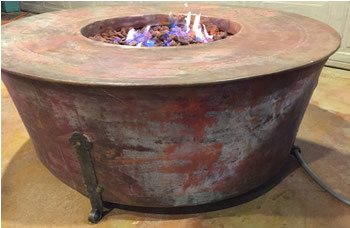 Dancing Fire Inc. was one of the first online stores selling and successfully shipping clay chimineas. 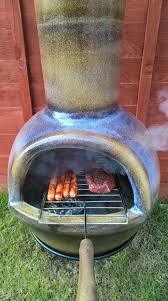 That was back when no one knew what a chiminea was. And we are still here selling Chimineas! 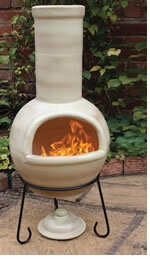 The New Clay CHiminea that won't crack, no curing and warrantied for 5 Years.